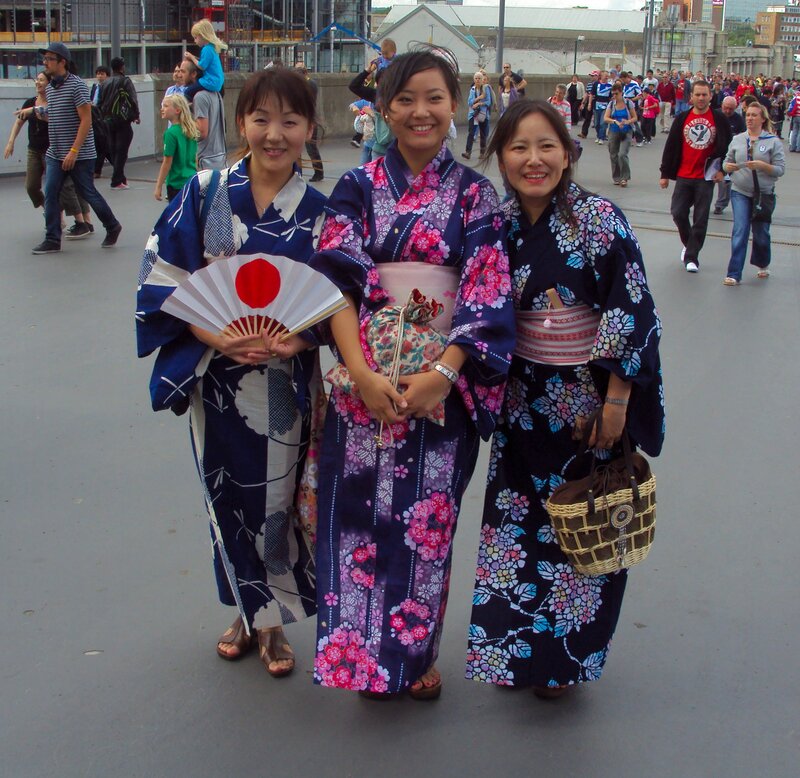 Before the match, outside the ground, three beautifully dressed women in traditional clothes. 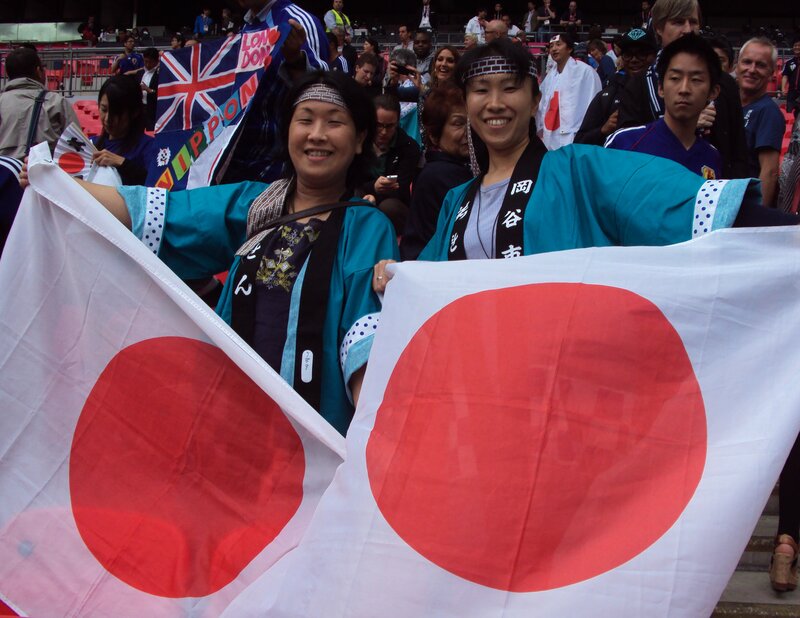 After the match, inside the ground, two very happy Japanese fans :). 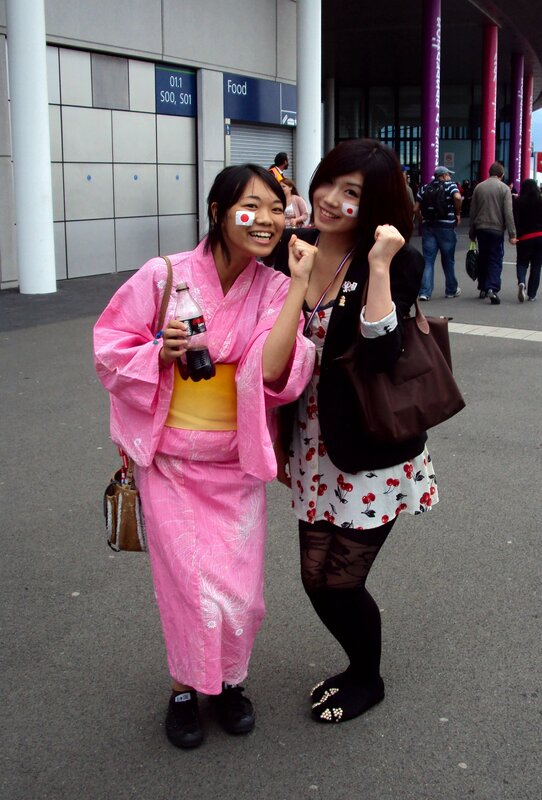 After the match, outside the ground, a pairing of traditional and modern :).